What is Golden Sella Basmati Rice? 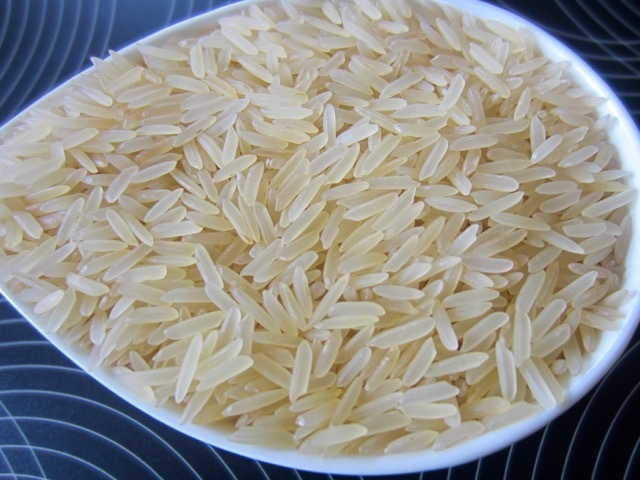 This rice is however, very different from other parboiled long grain rice, that have that telltale smell of parboiled rice. I have recently tried several brands of parboiled rice and in my opinion this is the best of them all. The first step involves the soaking and steaming under pressure of the paddy (rice in its husk is called paddy). The paddy is then dried before it undergoes the milling process. During the milling process the husk, bran and germ is removed. The process results in long slender shaped translucent grains with a soft golden or yellow colour and a firmer texture. The process of parboiling drives nutrients, especially thiamine (B1), from the bran into the grain (endosperm). 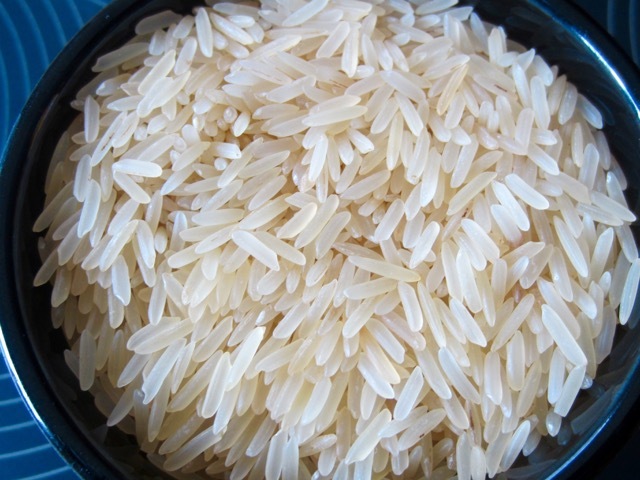 Parboiled rice is therefore more nutritious than white rice. 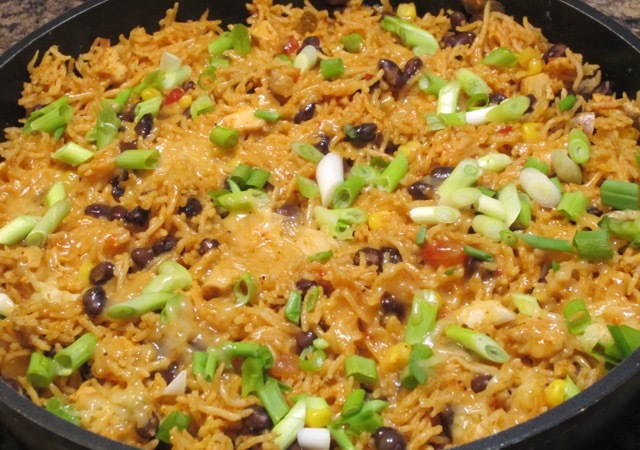 Parboiled rice takes a little bit longer to cook and does not stick to the pan during cooking. The grains remain fluffy, firm and separate after cooking, so it’s not suitable for making risotto. The rice also has a strong ability to absorb the flavours of herbs, spices and condiments and is best used in cooking dishes such as Pulao and Biryani, or any of the savoury rice dishes like savoury coconut rice, stir-fried rice, jollof rice or any of the one-pot rice dishes you can think of like this one here: Southwest Chicken Skillet Rice Skillet. I don’t find it good for plain steamed rice without spices or condiments (personal preference). Iron: 4% daily recommended value.